Some of my friends told me that they didn’t really like reading this book since they already watch the show and it’s basically the exact same thing. After reading it, I disagree, the show and the book are very different from one another and while some of the characters on the show draw inspiration from the book, they are by no means the same people. There are some things the T.V show does better, and some things the book excels at. First off the T.V show does a better job with the ensemble characters. This makes sense, as Orange is the New Black is Piper’s memoir of prison life so she is naturally the focus of the book. The reason I love the T.V show so much is because of the flashbacks and the way to get the stories, sometime tragic, sometimes humorous, of all the women locked up in prison. Kerman mentions these women but cannot flush out their stories as much as the T.V show can. The book however makes Piper a much more likeable character, which isn’t that surprising since, again, it was written by her. In the T.V show Piper is very self-centered and self-absorbed in her own problems. While she makes friends with women around her, she is still consistent in putting herself first, which makes her annoying and sometimes cringe-worthy to watch. In the book however (and I guess real life), Piper is this strong woman, who is, at least in hindsight, able to recognize her privilege as a white middle class woman. She has a support system on the outside, which she constantly appreciates and values through her writing. Most of all however, Piper Kerman, as opposed to Piper Chapman, feels remorse for her actions. 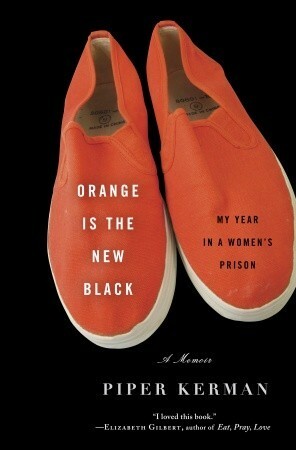 The book is a critique on the Bureaucracy of Prisons, but it still helps Piper come to terms with her sentence. 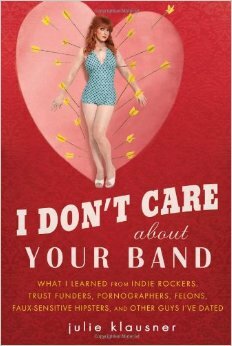 Even though she was arrested on a 10-year-old drug charge for transporting drug money, after being surrounded by women who’s lives have been torn apart by drugs, be they addicts, recovering addicts, or involved in the drug world in some way, Piper realizes that she is complacent in these women’s situations. She feels true remorse for her actions; at least that’s how it comes across in her writing. Overall Piper writes honestly and openly about her prison experience, leading to the carrying of a much more likeable person than the one portrayed on T.V. The Piper in the book however doesn’t make for great television watching, and so it’s clear why the writers took such artistic license with the show. Kerman’s prison experience is a very singular one, and many other women of different races would have a very different telling of their experience with the BOP. I still think the book has its merits however, and hopefully fans of the show will agree. This entry was posted in Reviews and tagged Memoir, Memoirs and Biography, Orange is the New Black, Piper Kerman, Prison, Review, War on Drugs, Women on May 1, 2015 by kwils3.